Cars Towing is the number one towing and roadside assistance company in Richmond California offering 24/7 quality services! Available on all days of the year, including holidays, Cars Towing is only a toll-free phone call away. We can reach absolutely any destination within minutes! And aside from our headquarters we also have fully operational offices scattered all over Richmond. That means you never have to deal with call waiting or waiting too long for our tow trucks to arrive, because we always meet the demands from your areas, no matter how high. 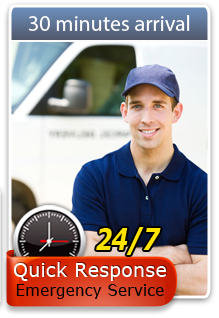 We have an unmatched tow-truck-to-customer ratio, and we have very skilled drivers at your disposal, 24/7. When you decide to call us, expect nothing but the best from the best in the field—we are a company made up of licensed, certified, fast and reliable professionals who have been in the industry for many years. Aside from our towing services available for all vehicles, remember that we also have quality roadside assistance services! These services may come in handy in the cases of minor road accidents, emergencies, or fender benders. Call us if you run out of fuel, lock yourself out of your own car, or get a flat tire. We can help with anything car-related! Our toll-free hotline is also open for any comments, questions, suggestions, and concerns from our valued customers in Richmond California.